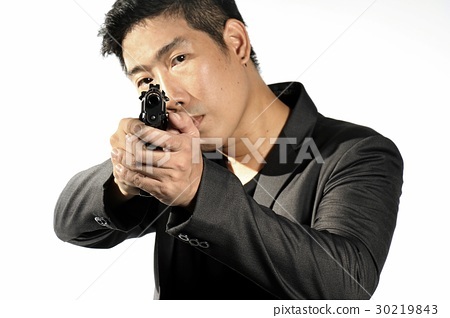 Asian Businessman aiming with handgun, Man in a suit preparing to shoot. Isolated on white. Semi-automatic handgun, 45 pistol.